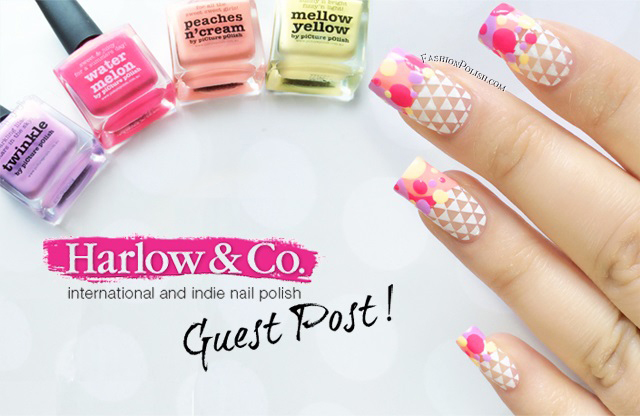 Fashion Polish: Head over to the Harlow & Co blog to see my Spring nail art! Head over to the Harlow & Co blog to see my Spring nail art! I'm super excited to be on the Harlow and Co blog today! Let's show Katie some love!!! triangles and circles using a Moyou stamping plates and 4 dotted piCture pOlish Spring colors. You can read the entire article as well as a detailed step by step by clicking on the picture below. I hope you like it!